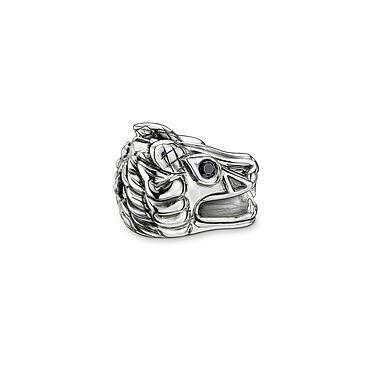 We love this fabulous dragon bead crafted from 925 Sterling Silver. With fine detailing, this fabulous bead looks great in pairs to start your Karma collection. Perfect for anyone with rebellious style and a rebel at heart! The Karma collection from Thomas Sabo is an exciting new way to express your personal style with a collection of Karma beads that are as diverse as life itself. The Karma collection promotes positive energy, allowing you to express your personal style through your jewellery collection. Add beads to bracelets, necklaces or earrings to express your Karma, bringing joie de vivre and good fortune to your life.